For my birthday this year, Paul took me to Craft and we did it up: oysters, suckling pig and a big red wine. To end the meal, we ordered a slew of ice creams engineered by Craft’s pastry chef/genius, Jenny McCoy. Her ice cream is like nothing I’ve tried before (and trust me, I have sampled my fair share of ice cream). She makes a kiwi ice cream that not only tastes exactly of kiwi, but manages to capture the texture and bite of a kiwi too. It’s insane. 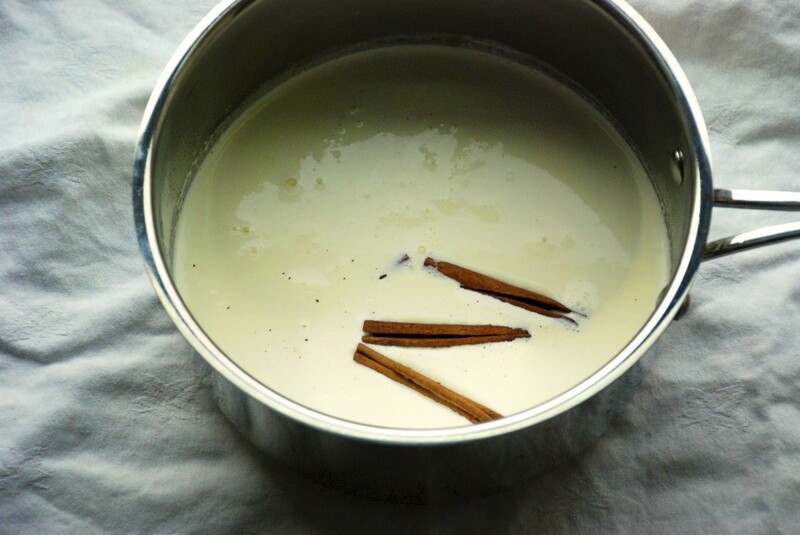 When I decided to finally dust off the ice cream maker my sisters gifted me a few Christmases ago, I scoured the interwebs for some of her recipes. I found two, and this is what I learned: balanced proportions of cream + sugar + whole milk + egg yolks = deliciousness. 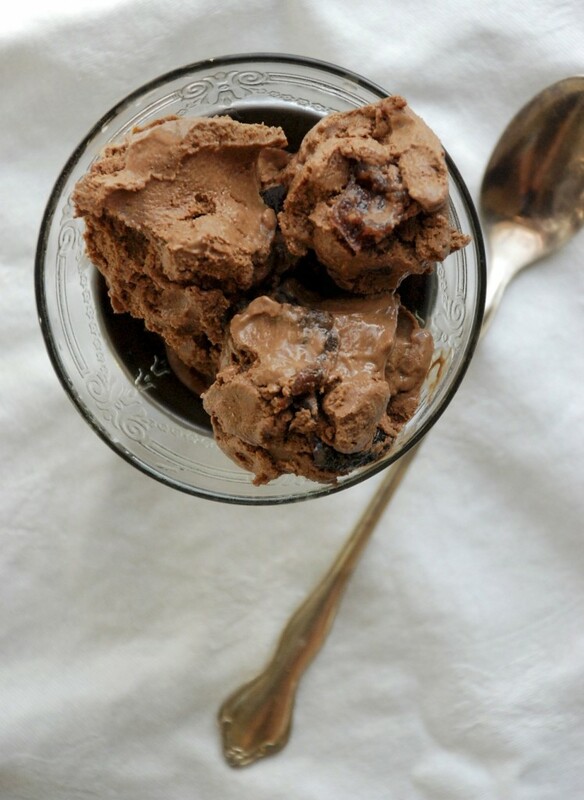 I also consulted David Lebovitz’s The Perfect Scoop, and then I was off to the races. Although my first few attempts were flops (I was determined to use bar chocolate at first.…mistake), I eventually reached something I loved. By the last batch, I achieved my aim: airy, creamy, must-consume-immediately ice cream. 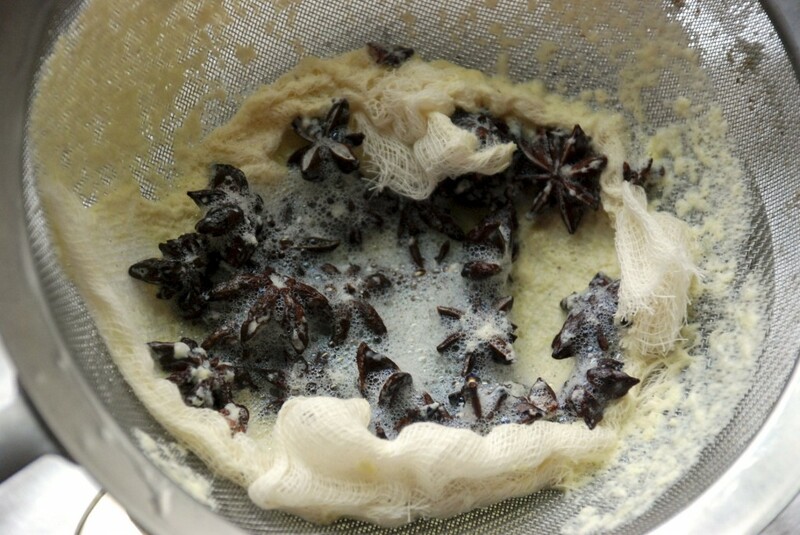 I made three batches with three different spices: star anise, cardamom and cinnamon. 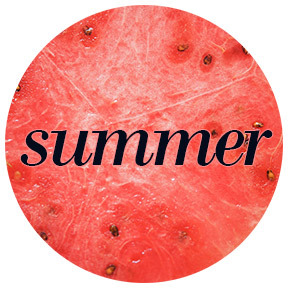 Each has a distinct taste, so go with your personal preference. 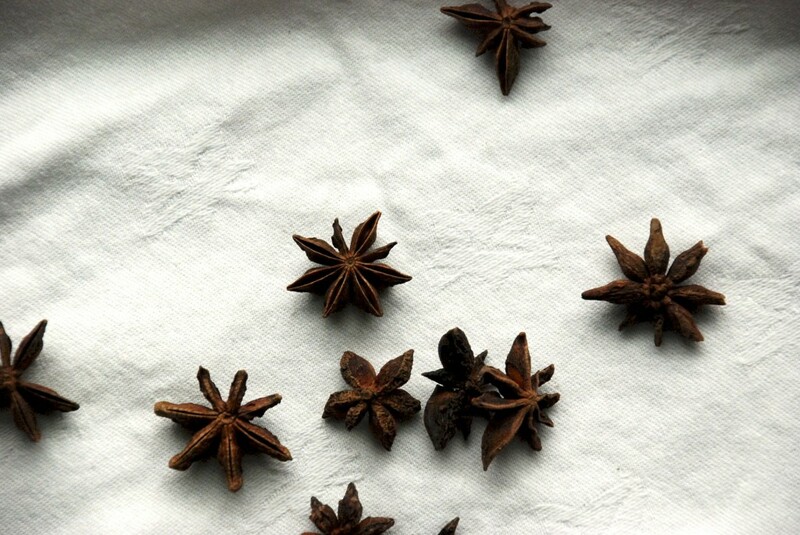 Star anise will lend the ice cream a light licorice flavor, while cardamom is muscularly herbal. 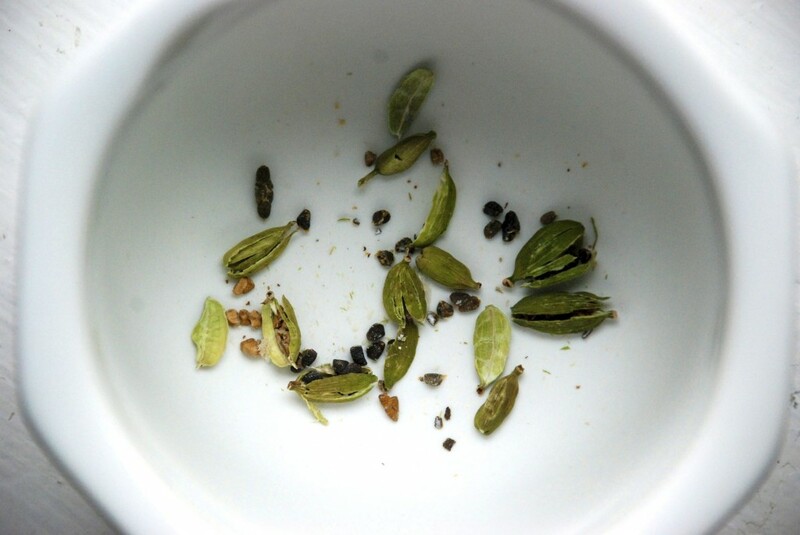 Of course, you can always skip the spice altogether, if you prefer. 1. 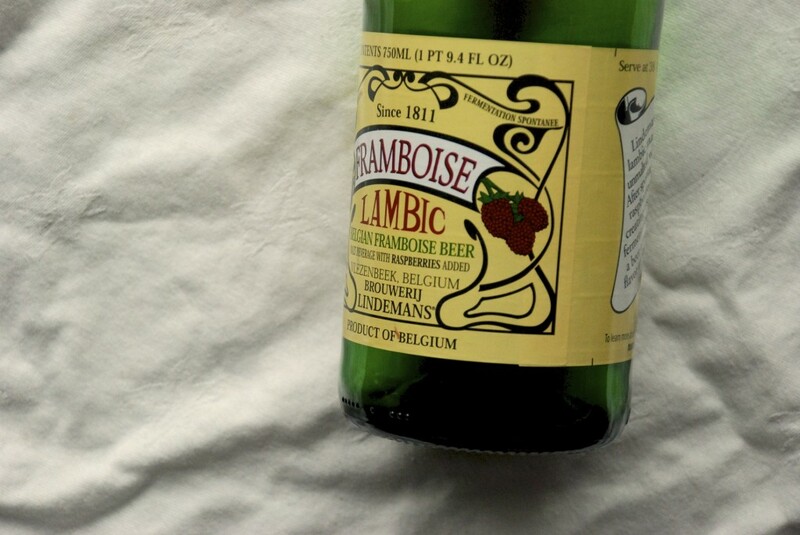 Over medium-high heat, boil the lambic with ¼ cup of sugar in a Dutch oven until it is syrupy, about 20 minutes. Add the pitted cherries, and cover. Cook for about 25 more minutes, or until the cherries start to break down. Empty into a bowl, and bring to room temperature. 2. 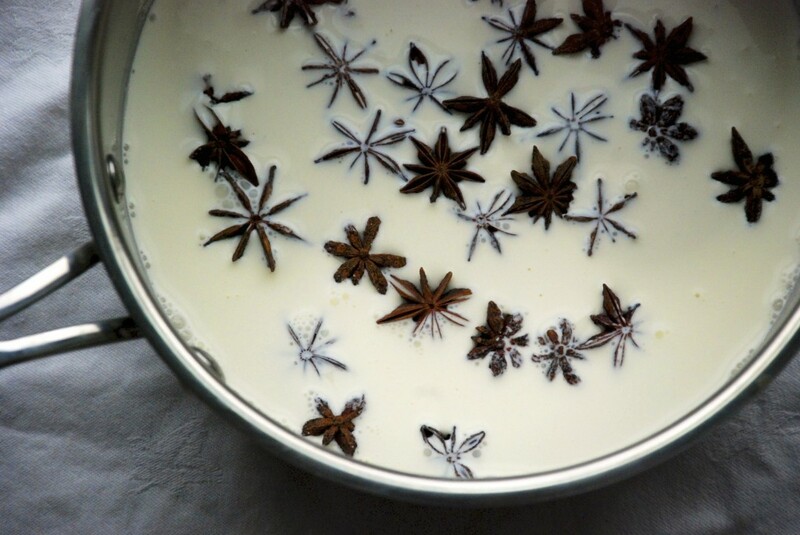 In a separate pot, bring the milk, cream, spice, cocoa powder, ¼ cup sugar and salt to a boil, whisking occasionally. Remove it from the heat when it reaches a boil. 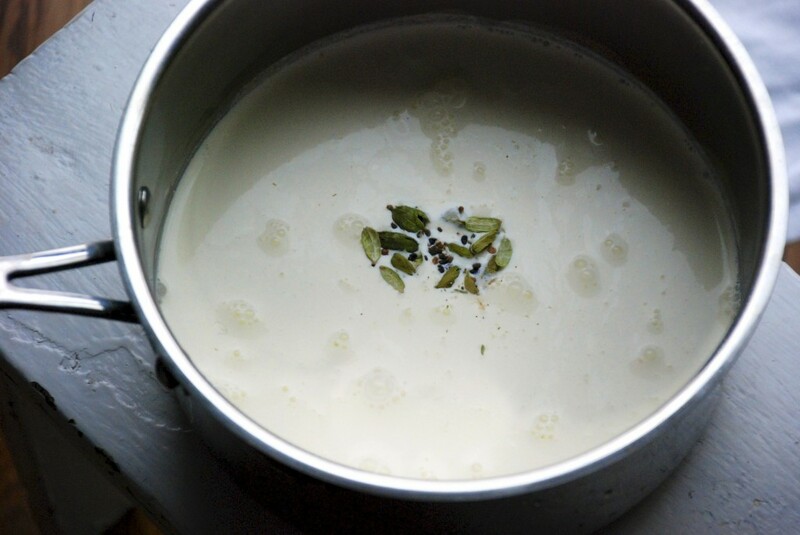 Let it sit for about 15 minutes, to give the spices a chance to perfume the milk/cream. 3. 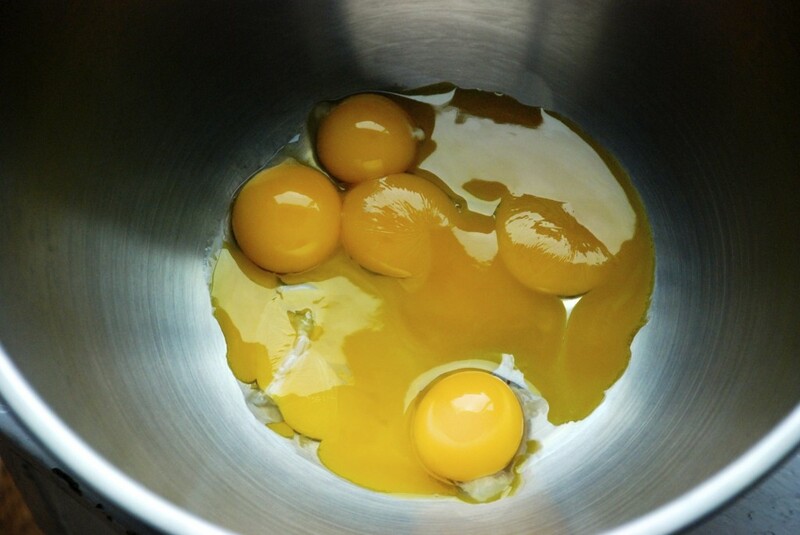 In a separate bowl, mix the egg yolks with the remaining ¼ cup of sugar. Beat energetically for a minute or two. 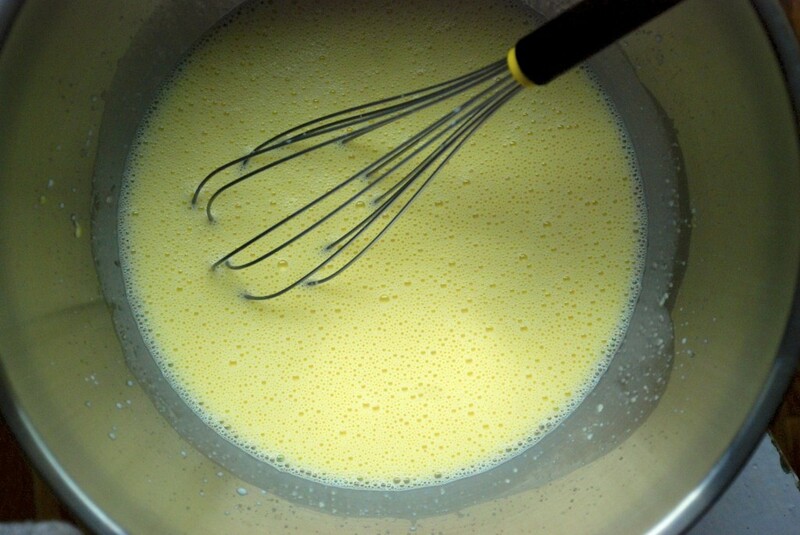 Slowly pour the milk/cream mixture over the yolks, whisking constantly until incorporated. 6. 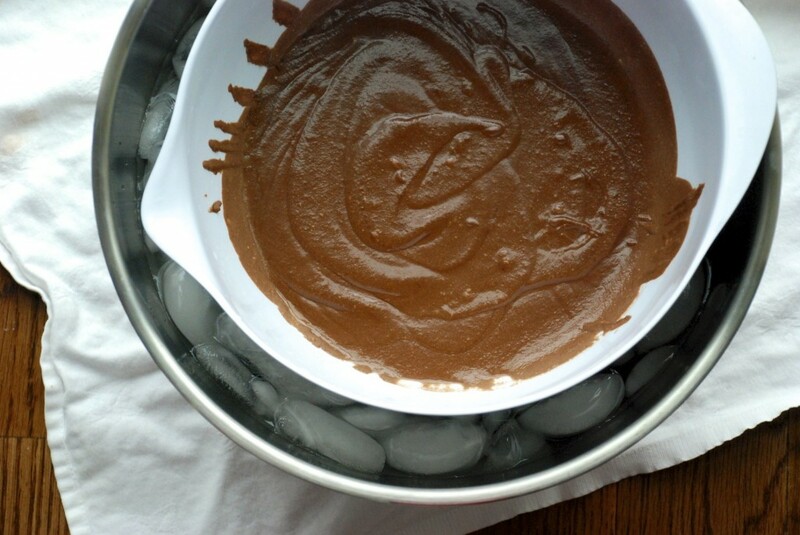 Cool the chocolate-ice cream base over an ice bath until it is quite cold. One of my early, bar chocolate attempts. Still, this is what your ice bath should look like. 7. 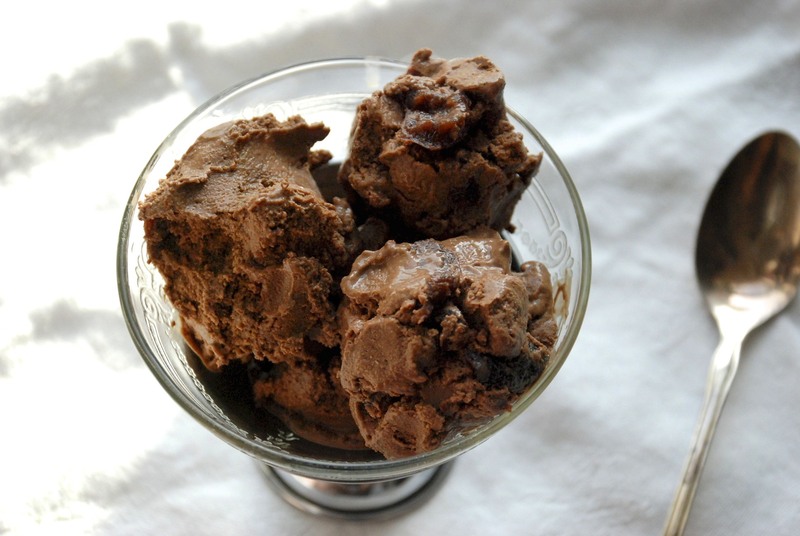 Add the ice cream base to an ice cream maker and let it go for about 20 minutes. Five minutes before your ice cream is ready to come out of the machine, swirl in the cherries.